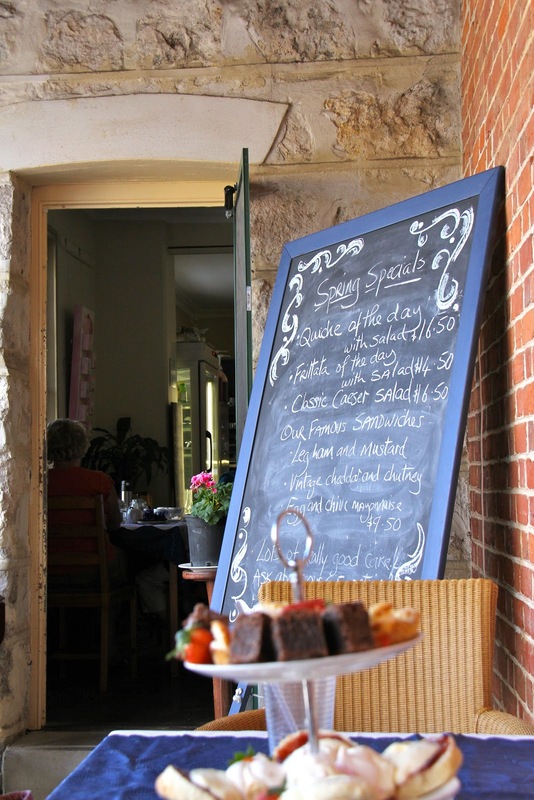 "High tea with a local gallery to peruse." 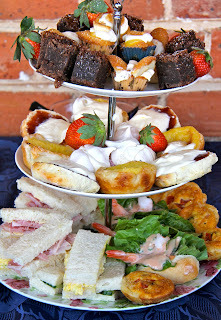 Situated in the historic old post office at 4 Queen Street, Busselton you will find a most sumptuous high tea. I recommend preparing well - giving 24hrs notice and don't bother about lunch. There is a lovely selection of teas, coffee or juices, my choice the favourite green sencha arrived with a timer (a first for me). The three tiers were laden with freshly prepared treats including cucumber, egg, leg ham sandwiches, mini quiches, scones, jam and cream, custard tarts, macaroons, mini petit cakes, strawberries, fruit cake, lemon cake, apple crumble, brownies and the list goes on. All done so very well, if not a little overwhelming for three. Busselton is a wonderful place to visit and high tea at The Old Post Office should be a priority for all tea lovers, Well done.